Sioux Honey Association Co-op wants Americans to know who their honey comes from. That aim is the basis of a national campaign being launched today which features the faces and stories of local beekeepers across the country. Amongst its 270 members, Sioux Honey Association Co-op selected beekeepers from Idaho, North Dakota, Minnesota, Arkansas, Michigan and California to be the faces of its “Who Does Your Honey Come From” campaign. 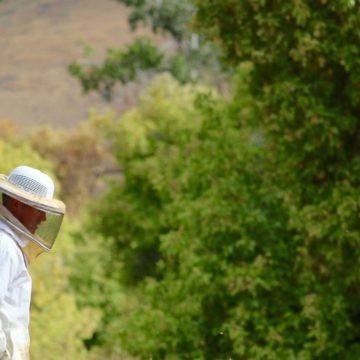 The beekeepers will be featured on Sioux Honey’s new website and in a nationwide ad which highlights the challenges of beekeeping and the persevering nature of America’s beekeepers. Beyond introducing local beekeepers, the co-op is advocating for consumers to look at the label when buying honey, know who and where it comes from, and keep an eye out for both the “Grade A” and “Product of the U.S.A.” designations. “Grade A” is the highest grade awarded by the UDSA and “Product of the U.S.A.” is a guarantee of the country of origin. Combined, the labels confirm honey is pure, with nothing added, and of the highest quality, according to Buhmann.